Children are attracted to various colors and shapes found in everyday life. This workbook provides enjoyable and interesting activities for young children to help them identify and discriminate different colors and shapes. It introduces them to very basic concepts of geometry - which is a branch of mathematics that deals with points, lines, angles, and figures in space. 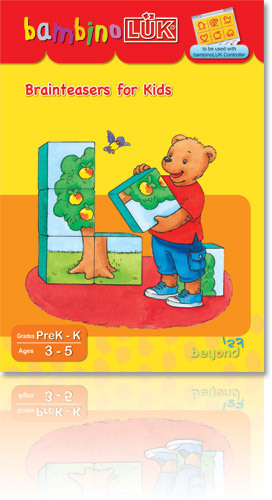 All exercises in this workbook are carefully designed to be age appropriate thus maximizing their ability to understand. Basic geometric shapes are presented through brightly colored illustrations and interesting combinations of colors and shapes. Children learn to recognize, identify, distinguish, and combine those colors and shapes into different objects and patterns. Visual discrimination, concentration, and logical thinking, are also enhanced throughout the entire program. 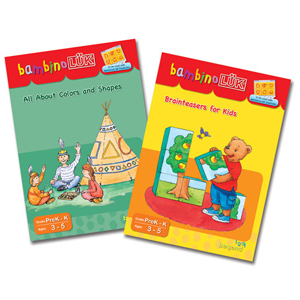 Brainteasers are not only fun but are also beneficial for young children. 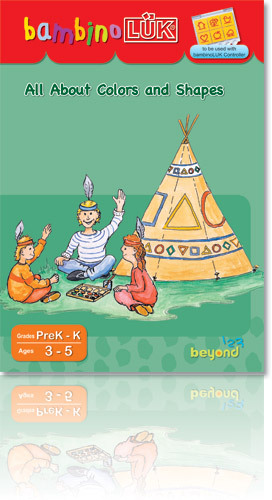 The exercises in this workbook are effective in developing higher level thinking skills. It is important for young children to learn to see things in different ways to maximize their learning potential. For example, in one of the exercises children need to identify the item that is added to the original picture, and in the next exercise, they have to decide which item is missing. This workbook provides various challenging activities to stimulate important brain functions while still creating an enjoyable experience.